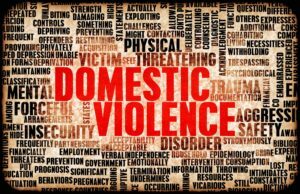 Home » Blog » General Legal Matters » Does Domestic Violence affect a Property Settlement? We all know that domestic violence is a very serious problem in our community with one in six women experiencing violence at the hands of a current or former partner and one in three women experiencing violence in their life time. There are men who experience violence in their intimate relationships, however the majority of victims are women. We take a look at a number of case law that has involved Domestic Violence and Property Settlement. 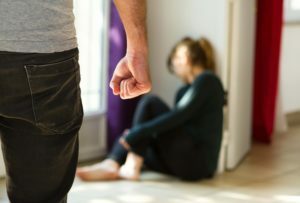 The problem of domestic violence is not only found in the lower socio economic groups of our community, it is also prevalent and increasing in the affluent Eastern Suburbs, Sydney. This can be seen by the increase in women from the Eastern Suburbs seeking assistance from women’s refuges and resource centres such as the Bondi Beach Cottage and the Women’s Deli. We have seen an increase in women presenting in relationships which can be described as “golden handcuff relationships”, where typically in these relationships a woman is living an affluent lifestyle but the finances are controlled by her husband or partner and she is often having to put up with a range of violent behaviour including denigration, insults, withholding financial support, isolation and assault. “Our view is that where there is a course of violent conduct by one party toward the other during the marriage which is demonstrated to have had a significant adverse impact on that parties contributions to the marriage, or, put the other way, to have made his or her contributions significantly more arduous than they ought to have been, that is a fact which a trial judge is entitled to take into account in assessing the parties respective contributions”. The principle of Kennon was applied in the 2014 case of Devon and Devon. In that case the parties were married for 31 years and had 4 adult children, one of which had an intellectual disability. The parties had no significant assets at the start of their marriage and it was accepted that the husband ran the family business and the wife was the homemaker and main carer of the children. In the case of Devon, the Court accepted that the wife had been a victim of domestic violence over the course of their entire relationship and she successfully proved that the domestic violence made her homemaker and parenting role even more difficult. At the time of separation, the husband had been convicted of assault on the wife and was on a good behaviour bond. The wife presented to the Court photographic evidence of the bruising inflicted by the husband and testified that the husband had a short temper and was living on tender hooks for most of her married life. The wife’s doctor presented evidence that the wife was suffering as a result of the domestic violence, major depression and high levels of anxiety and stress and was unable to obtain employment now or in the future. Judge Philip Burchardt agreed that domestic violence and property settlement should be associated. The wife should receive a further 5% in her favour due to the domestic violence endured. Overall the wife received 70% of the assets and retained her superannuation. In the 2015 case of Scott and Scott Judge Alexandra Harland, found that Her Honour was not entitled to assume that the husband’s violence made the wife’s contributions more arduous but needed to be satisfied through the evidence before her. The husband in the case of Scott was 48 years old and the wife was 41 years old and they had three children ranging in ages from 20, 17 and 6 years old. The wife argued domestic violence by the Husband and wanted an adjustment of the property in her favour between 65% and 80% which included a Kennon adjustment. She said that the violence started when she first moved to Sydney and she was isolated from her family and friends and the husband did not allow her to return home to spend time with her dying mother. The wife also said that in 2010 the husband had physically assaulted her and there was verbal and physical abuse throughout the marriage and had been witnessed by the children. The husband in Scott tried to argue that the wife’s evidence was not corroborated. The Court clearly stated that the wife does not have to corroborate her abuse. It is recognised by the Court, that domestic violence does take place behind closed doors and occurs in circumstances where there are no witnesses, and there are no statements to the police or hospitals. Although Her Honour Harland was willing to apply the Kennon principle, she had difficulty doing so, because it was not proven by the wife how the domestic violence made her contributions as homemaker and parent more arduous. Although Family Law does recognise the close connection between family violence and the breakdown of relationship, often and unfortunately it is not brought to the attention of Family Court Judges at all. When it does come to the Court’s attention, it is often presented in a generalised and vague way. With Domestic Violence and Property Settlement, the Family Court is a discretionary jurisdiction, which means that each case turns on its specific facts and circumstances. There are cases where the Kennon principle has been applied successfully and others where it has not, each case needs to be looked at on its strengths and weakness. There is no one size fits all, when it comes to family violence and property settlements in Family Law. Disclaimer, the information provided in this article is of a general nature and does not constitute legal advice. Should you require legal advice, contact us on 02 8999 1800.